Keep up to date on all the action from the huge Premier League clash between Manchester City and Chelsea on our live blog! FT | The title race is on more than ever. City go top of the table, with one more game played that Liverpool. A truly complete performance for the Manchester side, absolutely leveling Sarri's Chelsea who will be at risk of a confidence issue after this embarrassment. 89' | City come down on a counter-attack and it looks like it's going to be seven, but Sterling's final ball to Zinchenko is a bit to heavy and is picked up by Kepa. Zinchenko pulls up hurt after the chance. 85' | Chelsea drive forward but as has every move in this game, it dies out with little to show for it. Sarri has got to be worried about the Blues rematch against City in the Carabao Cup final in a few weeks time. 79' | GOAL CITY! Sterling! David Silva slips a ball to Zinchenko who is in behind on the left. The Ukranian zips a ball across the six-yard box which goes untouch until reaching Sterling at the back post, who finishes cleanly. Similary to his first goal. Surely that's the end of scoring?! 75' | Terrific footwork from Kepa denies Gabriel Jesus from close range after a lovely ball plays in the Brazilian forward with a chance to make it 6-0. 72' | A stunning stat shows that both sides have managed eleven shots, the only difference being seven on target for City compared to Chelsea's meager three. 68' | Substitution. Mahrez replaces De Bruyne. 68' | Things are slowed down apart from a few chances. Hazard strikes viciously, but into the side netting minutes before Fernandinho's effort from distance is held without worry by Kepa. 59' | Mike Dean gives a freekick on the edge of the box for City and De Bruyne steps up to take it. It's the perfect spot for the Belgian who strikes well but too close to the keeper, who saves easily. 56' | GOAL City! Aguero! After Azpilicueta fouled Sterling in the box, the Argentinian steps up to the spot to slot home and complete his record-tying 11th hattrick! 55' | PENALTY for City! 51' | A hectic start to the second half has seen traffic on both sides of the pitch. David Luiz put Kepa in an awkward position with a poor backpass but the Spaniard dealt with it safely despite the pressure from Aguero. Minutes late Aguero heads off of the bar from a cross from De Bruyne. 46' | The second half has kicked off! Surely Chelsea can't turn this around? HT | What a stunning half of football. City burst out of the gate, looking very much like the title-contenders that they are. Despite Aguëro's dreadful miss, they still find themselves way out in front of Maurizio Sarri's side. 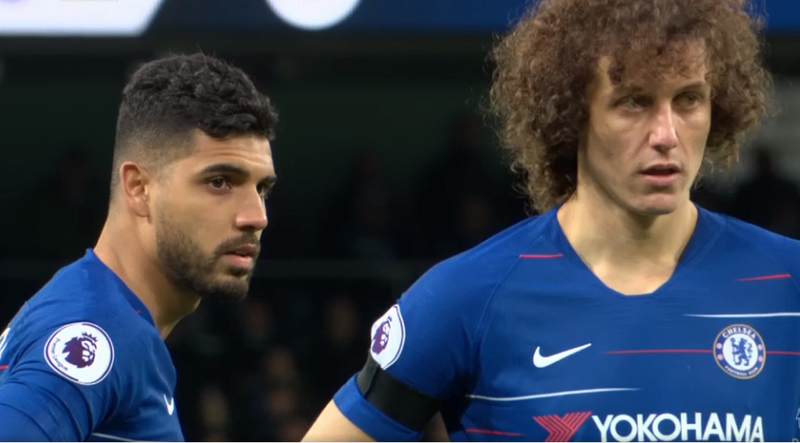 Chelsea are simply lost away from home in 2019, having lost 2-0 to Arsenal, 4-0 to Bournemouth, and now being down by that score only 45 minutes through what was expected to be a much closer game. 43' | A foul on Hazard by Bernardo Silva leads to a free kick that is easily cleared by the home side. The Blues have had the lion's share of the ball since going down 4-0 and the City fans are starting to show their anxiousness for more goals, chanting the team forward. 38' | Higuain catches a volley as sweetly as possible from twenty-five meters out, but Ederson is up to the challenge, making a solid save to tip the ball over the ball. Chelsea get nothing from the ensuing corner. 34' | Sarri's side are certainly seeing more of the ball now, working some intricate passing around the outside of the City box. But nothing comes of it as Jorginho's ball is too heavy and runs through to the Brazilian keeper. 30' | Do we risk saying that Chelsea are growing ever so slightly into the game? A few chances have been created by Sarri's side in the past few minutes, though nothing ever really worrying the City defense. 28' | Pedro is played in by Higuain, only to have his shot on an open goal blocked. Chelsea's first real chance of the game. 25' | GOAL CITY! Gundogan! This is officially out of hand. Gundogan pounces on a ball on the edge of the box and curls along the ground, perfectly into the bottom-right corner of the Chelsea net. Just how much worse can this get for the Blues? 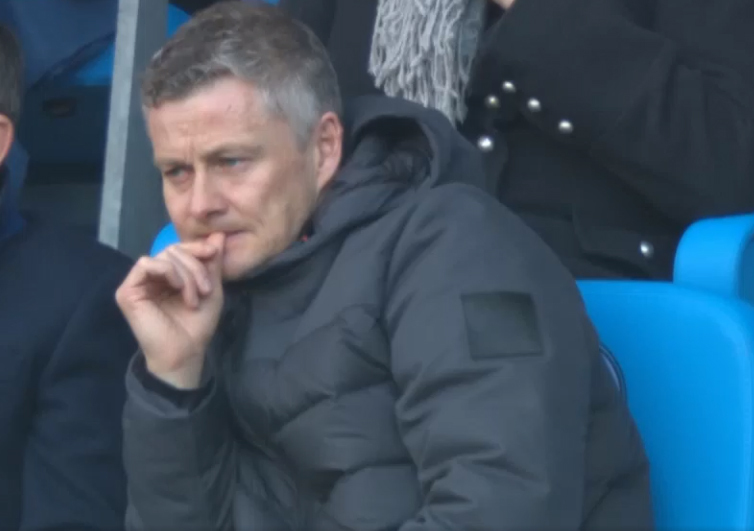 22' | Ole Gunnar Solskjaer looks on as his side will soon be heading into the top four, a target that seemed impossible a few months ago. 19' | GOAL CITY! Aguëro! 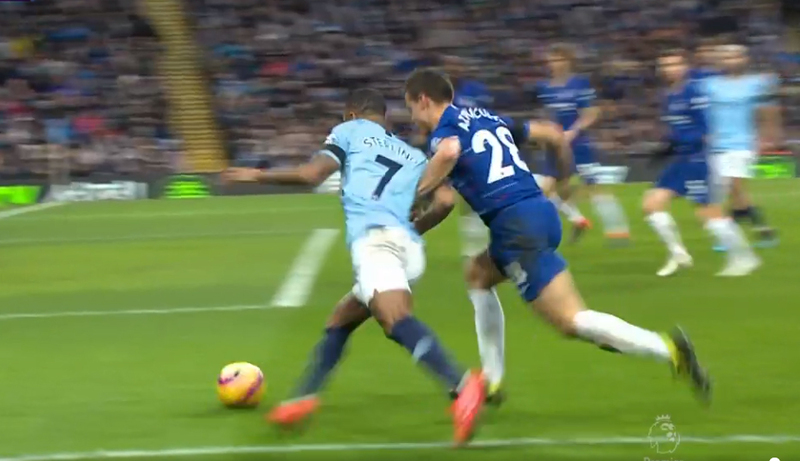 With a goal more typical of his deadly instinct, Aguero pounces on a bizarre back-pass header from Ross Barkley that Kepa never had a chance to get a hand on. This could get out of hand. 17' | Chelsea try to respond through a lovely dummy from Eden Hazard, but Marcos Alonso's ball in behind is an incredibly poor one, a clear mistouch from the Spaniard. Despite their early possession in the first three minutes of the tie, the Blues have had little to get excited about. 13' | GOAL! Aguëro! That's how you make up for an awful miss! 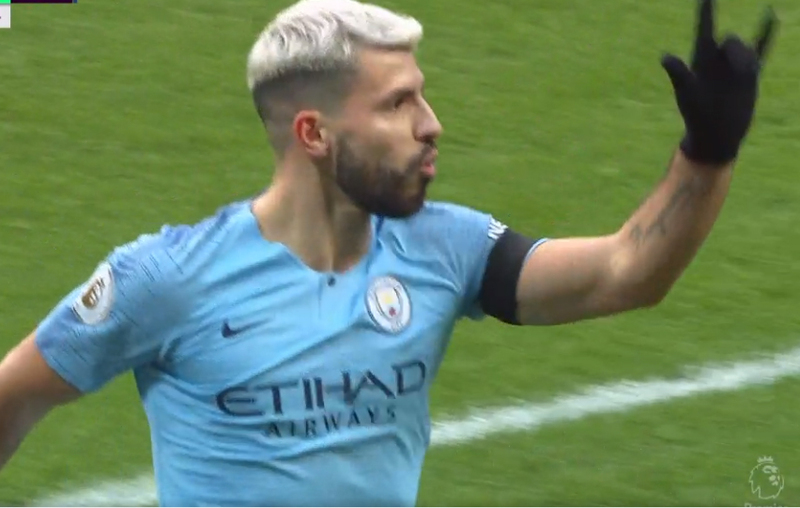 Aguero scores an absolute stunning curler from outside of the box to send City two clear of a Chelsea side that will be looking to survive the next ten minutes without letting the game entirely run away from them. 11' | Chelsea will be thanking their luck not to be down by two within the first ten minutes of what has been a wild start to this huge showdown. 8' | What a miss! Aguero misses a completely open net on a cross that went past everyone again. 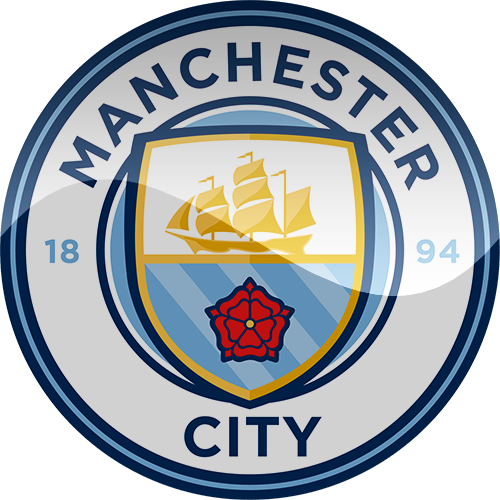 That said, City have started another game in fiery fashion, having scored in the opening minutes against both Newcastle and Arsenal, they continue the streak with their early strike here against the Blues. 4' | GOAL CITY! Raheem Sterling! 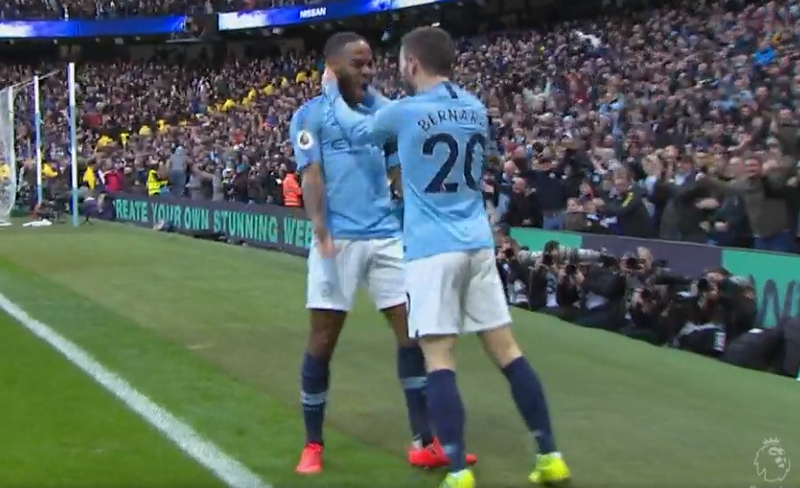 A brilliant ball from a set piece puts Bernardo Silva in behind, he feeds a ball into the box that goes past everyone before Raheem Sterling lashes into the back of the net. What a start for the home side! Chelsea had started the game with a solid bout of possession, but it amounts to little other than a few efforts from Higuain which are blocked easily. Kick Off | The Battle of the shades of Blue is off! 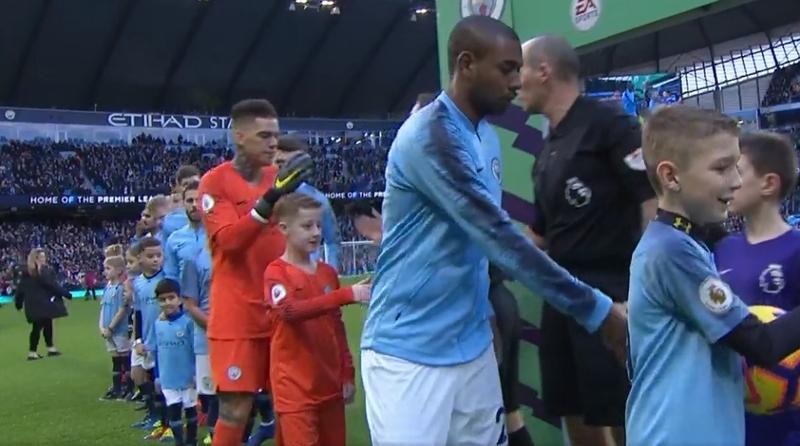 XI Man City | Ederson; Walker, Stones, Laporte, Zinchenko; Fernandinho, Gündogan, De Bruyne; Bernardo Silva, Aguero, Sterling. XI Chelsea | Kepa; Azpilicueta, David Luiz, Christensen, Alonso; Kante, Jorginho, Barkley; Hazard, Higuain, Pedro.